Mrs. Francina Judge Backman, 94, of James Island, SC, entered into eternal rest on Friday, November 2, 2018. 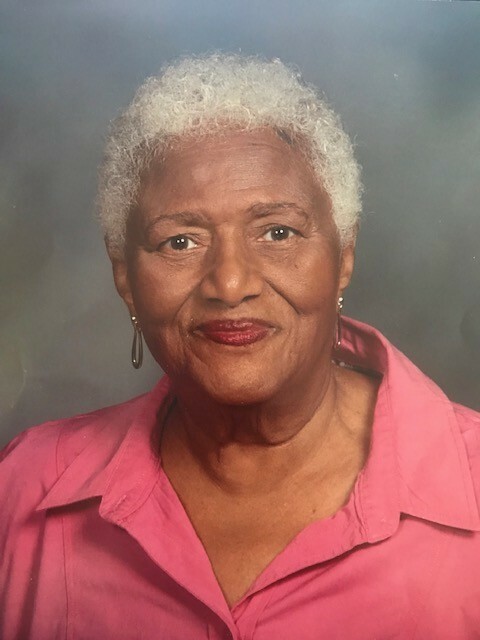 The relatives and friends of Mrs. Francina Judge Backman are invited to attend her Funeral Service 11:00 AM, Friday, November 9, 2018 at St. James Presbyterian Church, USA, 1314 Secessionville Road, James Island, SC. Interment - St. James Presbyterian Church, USA Cemetery, James Island, SC. Viewing will be held Thursday, November 8, 2018 from 3:00 PM - 5:00 PM at the mortuary and Friday, November 9, 2018 from 10:00 AM until the hour of service at the church. She was preceded in death by her husband, Moses Backman, Sr.
Mrs. Backman is survived by her children, Moses (Chloe), Carol (Clyde), Janith, Bernard (Alice), Nathaniel (Brenda), Arleen, Karleen (Frank) and Eunice (Johnny); 14 grandchildren, 28 great-grandchildren, 4 great-great grandchildren; siblings, Jo Ann and Harris (Mary); and a host of other relatives and friends.